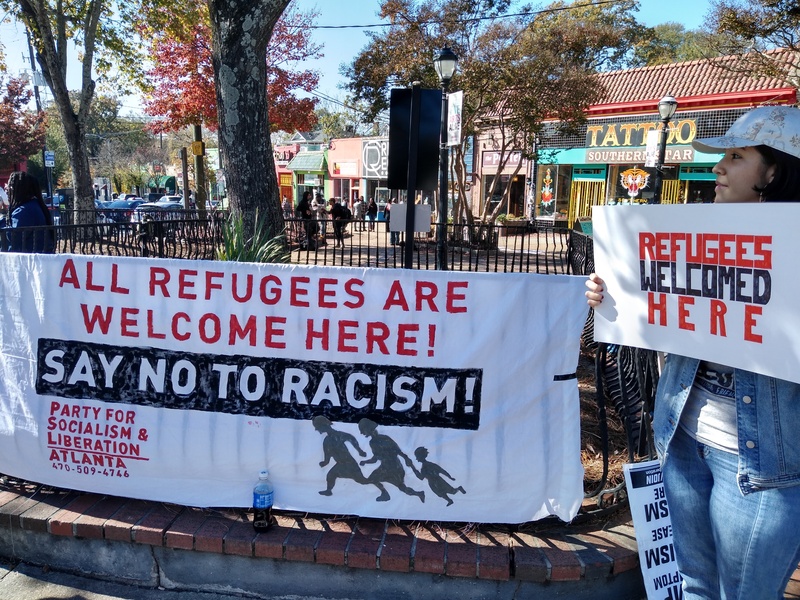 On Nov. 17, a group of Atlanta activists came out to the Little 5 Points neighborhood to show solidarity with the migrant caravan that is headed to the U.S. border. They displayed a large banner that read “All Refugees Are Welcome Here! Say No To Racism!” and agitated both for support for the caravan and also to demand full rights for all immigrants now. 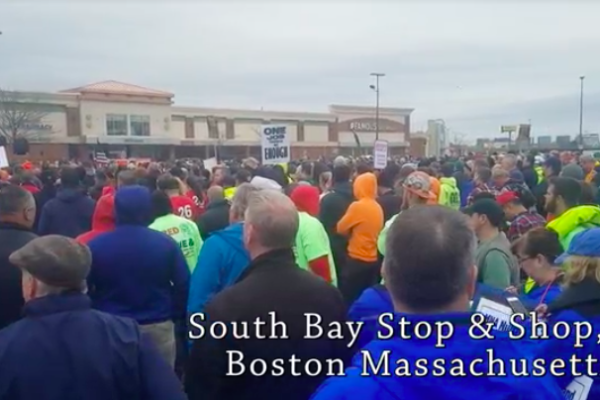 There was a very positive reception from the community to the protest. Two sisters, Claudia and Catalina, heard about the protest online and felt that they had to come out and make their voices heard. 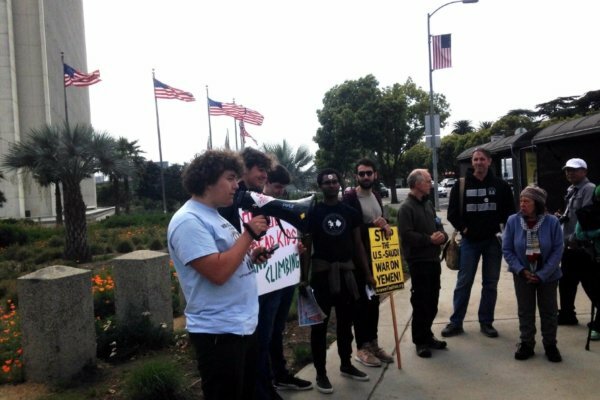 “It was important for me to show my solidarity with the people fleeing the violence U.S. imperialism wreaks upon the global South. The caravanistas are refugees that should be treated with respect and welcomed into our communities. As citizens living in the heart of empire we have a duty to organize and stop the violence our country threatens oppressed people with everyday,” said Claudia. Catalina added: “I want to show my support. Without going out and rallying, how will people know that we support the caravanistas? Maybe if people see me standing up, it will give them courage to do the same.” Catalina also gave an impassioned speech on the microphone about the urgency of the immigrant situation in the U.S. and abroad, and the duty we have to fight for the people whose lives have been so harmed by U.S. imperialism that they have to flee their homes. Party for Socialism and Liberation member Estevan Hernandez spoke about the urgent need for revolutionary organizing to confront this crisis and the many others facing the working classes and oppressed peoples of the world today. The U.S. media continues to do immeasurable harm by using terms like ‘invaders’ to describe the peaceful caravanistas and even suggesting that they might have terrorists in their midst. Hernandez described how filmmaker, journalist and fellow PSL member Gloria La Riva had traveled to Mexico City and had met up with the caravan and provided grassroots reporting. 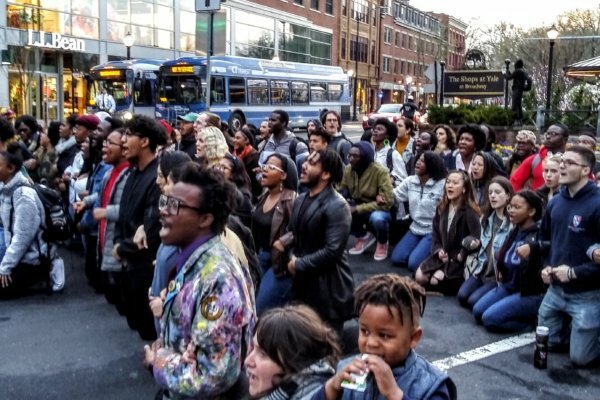 The activists in Atlanta promised to continue their solidarity actions with the caravan. As the caravan approaches the U.S. border and with Trump’s promise to use the military to confront the caravan, the Atlanta activists explained the importance of continuing to stay active and mounting pressure on the U.S. to let in the refugees. On Nov. 25, a national day of action is being called for cities across the country to hold rallies and actions in solidarity with the refugee Caravan. Solidarity with the Carvanistas! Full rights for all immigrants now!